April 17, 2018 April 17, 2018 Reanna K.
The April 2018 LCBS meeting is in the books! Betsy hosted at her adorable townhouse, and found a craft that was as easy as it was cute: hardware store tassel necklaces (adapted from Style Bee). Wrap the crochet thread around whatever you’re using about 60 times, then carefully cut it so you have a thick bunch of string. 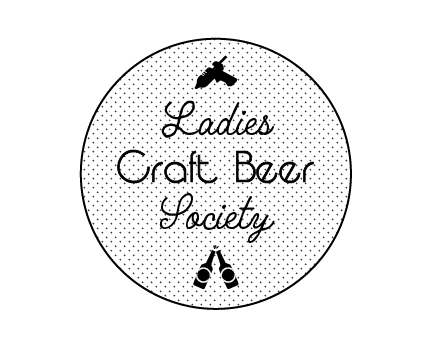 Great rainy day craft for today's #ladiescraftbeersociety! Hardware store tassel necklaces start with lots and lots of string. Thread the strings as a bunch through your copper coupling. Use your clear hair elastic to secure the threads at the base of the copper coupling, then wrap more crochet thread around the elastic to hide it. Tie in a good strong knot and trim the ends. Then trim the ends of the thread bunch to even them out. Next, we strung the copper coupling onto the hemp cord and checked it out in the mirror to decide on a necklace length. Style Bee recommended 19″ but most of us went a bit longer than that after seeing the example. Cut the hemp cord to your preferred length, then add tape to each end (we used black cord and black electrical tape – nice because it was stretchy!) to keep it from fraying. Then, get to work on the jewelry hardware. We had to thread the split rings onto our crimp beads and lobster clasps, and then use the needle-nose pliers to scrunch them onto the ends of the cord. I didn’t get any good pictures of this, but you get the idea! So cute, so easy, and only $4 a pop for supplies. Not pictured, but definitely enjoyed: Rhinegeist Cougar. April 11, 2018 April 11, 2018 Reanna K.
Betsy is hosting this month’s meeting and has chosen a fun hardware-store jewelry craft: Tassel necklaces (directions via Style Bee).